The songstress took to social media yesterday and shared, "Ushering in the 23rd with a surprise announcement! I generally like to keep it low key on birthdays but today I have something very special to share - Spreading some birthday vibes with the first look of the artwork of my next single that releases on the 28th!! Tell me what you think. Lots of love." 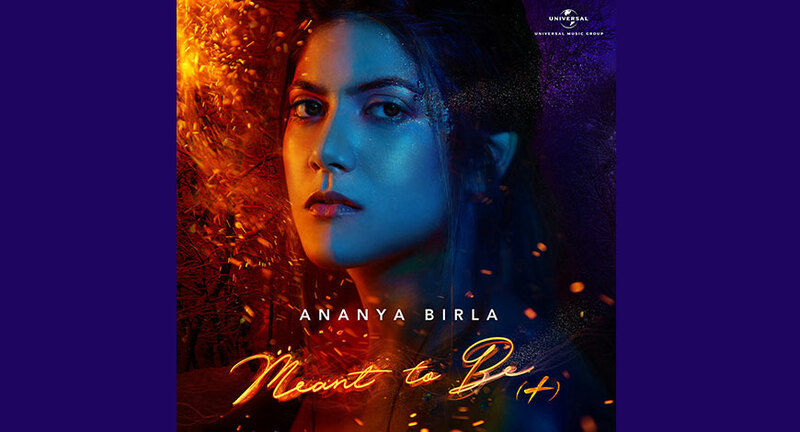 Ananya Birla is a singer and songwriter, signed by the Universal Music Group, India. , The daughter of business tycoon Kumar Mangalam Birla, Ananya was musically inclined from an early age and learnt to play the santoor and guitar. She attended college in England where she read economics and management at the University of Oxford. It was during her time at university that she pursued her hobby -music, at pubs and clubs on weekends in London, whose vibrant music scene and bustling gig culture inspired her to transform her passion into a career. As founder and CEO of three entrepreneurial ventures, Ananya wishes to bring a positive change to the world. Svatantra Microfinance is an organization that supports women entrepreneurs in the Indian rural countryside to grow their own businesses; CuroCarte enables premium global handicraft products made available to an extensive audience via an e-commerce platform and Mpower is a mental health initiative that works towards eliminating the stigma associated with mental health illnesses.